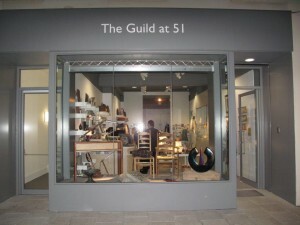 The Guild at 51 is opening from 10am to 8pm on Thursday 5 December. There are plenty of christmas gifts to choose including jewellery, furniture, leather belts and handbags, woven baskets, decorative vessels, hand painted tableware, cushions, scarves, clothing and lots more with prices ranging from £5 to £1000, all designed and made by members of the Guild. This entry was posted in categories; Christmas Shopping, Guild at 51.